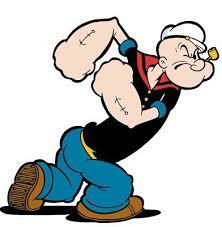 Popeye first appeared in the comic strips on January 17th, 1929. You could say he’s a native of Rabbit Country: his creator, E.C. Segar, was born in Chester, IL. The one-eyed sailor man is responsible for selling more spinach than anyone(it’s the source of his super-strength).